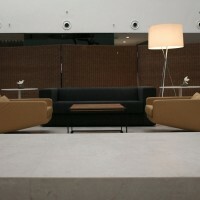 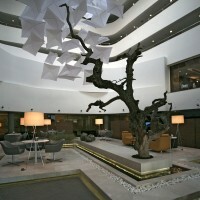 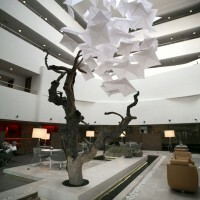 Tanju Özelgin designed the lobby for the Radisson Airport Hotel in Istanbul, Turkey. 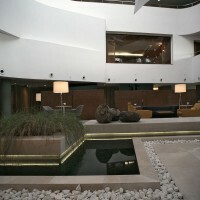 Due to its proximity to the international airport, business and fair centres, the Radisson-SAS is labelled as a “Business Hotel”. 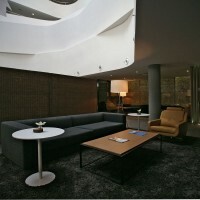 To satisfy business hotel requirements, the renovation project of Radisson Sas Hotel lobby aims to establish the relation between function and aesthetic in a different point of view. 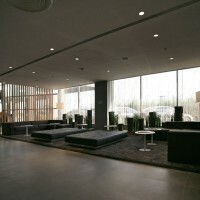 1400 square meters lobby area has bar, reception, lounge, business center, tobacco store, toilets and banquette sale office. 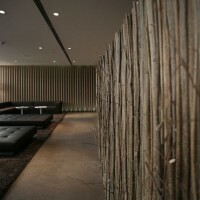 To achieve a relaxing atmosphere and to make the guests feel at home , the design integrates natural materials, indirect lighting and special acoustics. 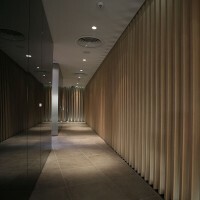 The sense of rhythm and depth of vertical paralel lines made by wooden laths, creates warm and quiet atmosphere exempt from excess. 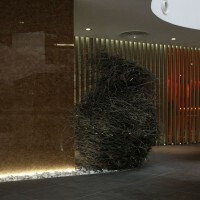 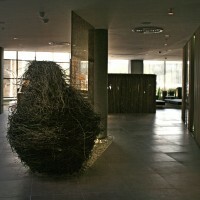 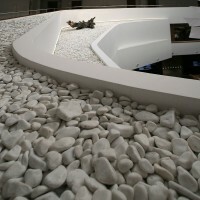 The quiet atmosphere is supported by using natural materials such as coconut peel fibers, dead tree trunk, water, stone and plant sculptures and pebbles. 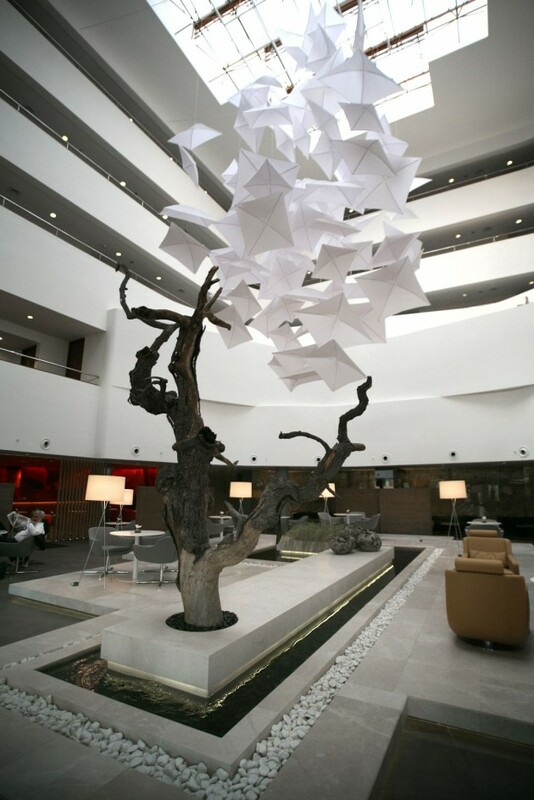 Technologic items required by modern life and business life are located in a harmony and balance with natural materials in the lobby area. 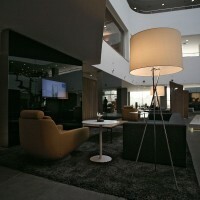 The interfaces of the technologic elements are just shown to ensure the continuity of clear and quiet view of lobby. 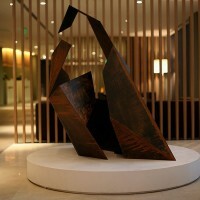 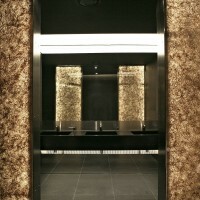 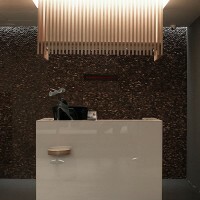 Earthen color tones defines the color concept of the lobby. 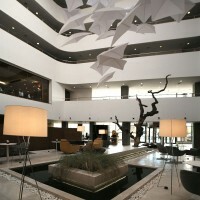 The color concept, furniture and accesorize choices and landscaping emphasizes the plain design style of the lobby. 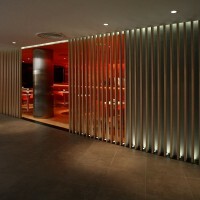 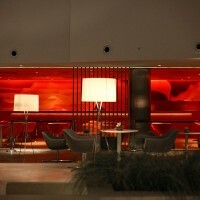 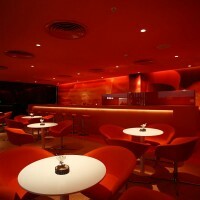 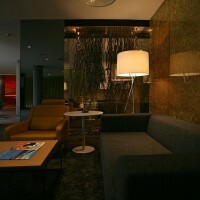 The fire coloured bar area is the most dynamic and colorful component of the lobby and adds excitement to the lobby area. 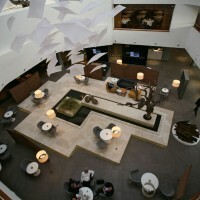 Despite the dynamism and colorfulness of bar area contrasts with the design concept of atrium, it doesn’t ruin the unity of the lobby. 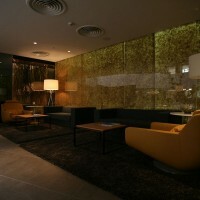 The wall covered by reflected glass which television sets have fitted behind creates technologic view and depth. 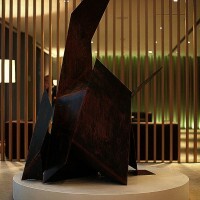 A free flowing sculptural design is hung above the pool to help overshadowing the direct daylight into the interior and to block the noise from travelling out of the lobby area. 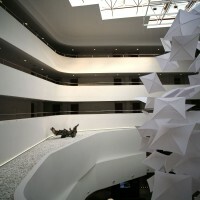 The flowing object also balances the emptiness of atrium and emphasizes that the atrium is the center of lobby. 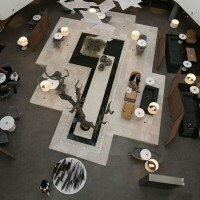 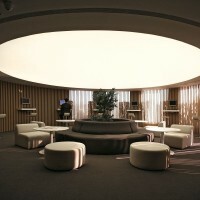 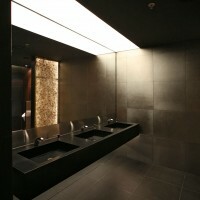 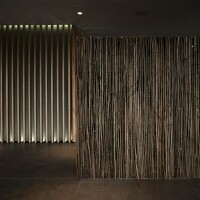 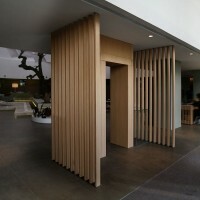 The overall concept of lobby has been carried to wet volumes by using light and texture games. 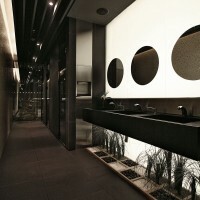 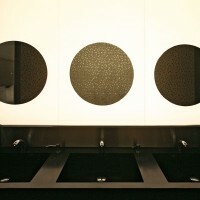 The circular mirrors hung over luminated wall provides one to see himself behind a precious and special background. 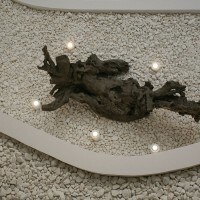 Visit Tanju Özelgin’s website – here.